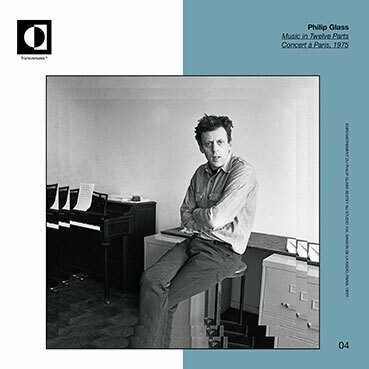 "The newly discovered and unreleased concert from 1975 recorded by the Philip Glass Sextet at La Maison de Radio, Paris. The sextet is composed of Philip Glass, Jon Gibson, Dickie Landry, Michael Riesman, Joan La Barbara and Richard Peck. Music in Twelve Parts is a set of twelve pieces written between 1971 and 1974. This performance in France includes part 1, 2, 3, 11 and 12 on a double LP. Also included a very rare Philip Glass interview from 1974 in his NYC loft during the rehearsals of this piece, produced for the french radio by Daniel Caux - musicologist and co-founder of Shandar Records.